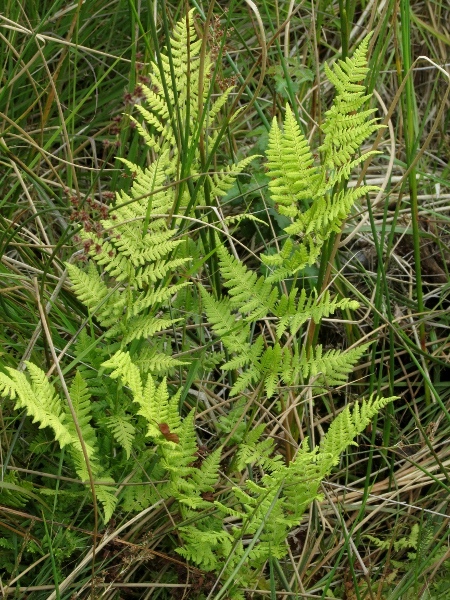 Dryopteris carthusiana is a common fern of marshes, fens, bogs and carr. 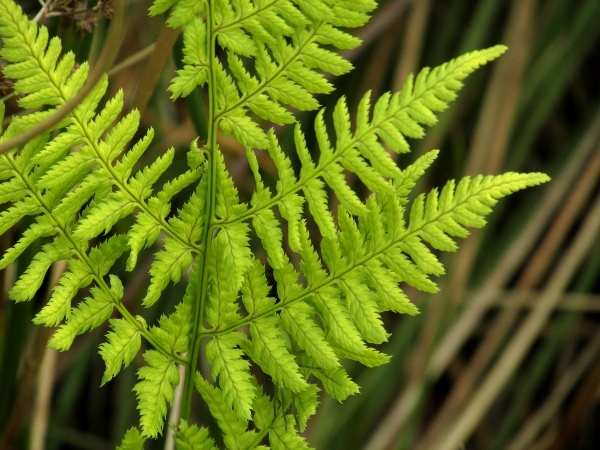 The leaf-segments of Dryopteris carthusiana have conspicuously long teeth. 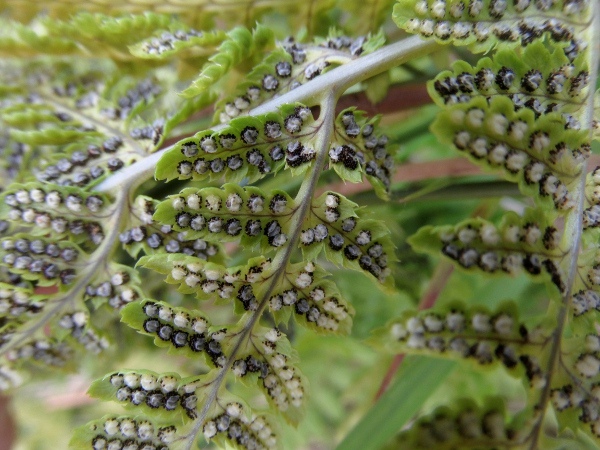 In Dryopteris carthusiana, like all the buckler-ferns, the indusia covering the spores are shaped like small shields (a ‘buckler’ being a type of rounded shield).